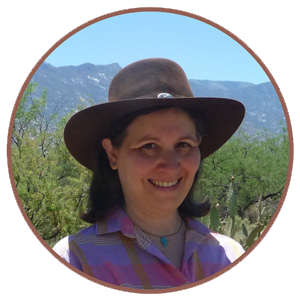 "My most memorable meal is every Thanksgiving. green-bean casserole; and of course, pumpkin pie." If you're a regular ed teacher and you have one or more English Language Learners in your class, you've probably already noticed that they have a range of educational experience, language proficiency, and academic competence. Finding the time to create lessons that meet all their needs, along with the needs of the mainstream and special ed students you also have in your class can be overwhelming. Or at least very time-consuming. 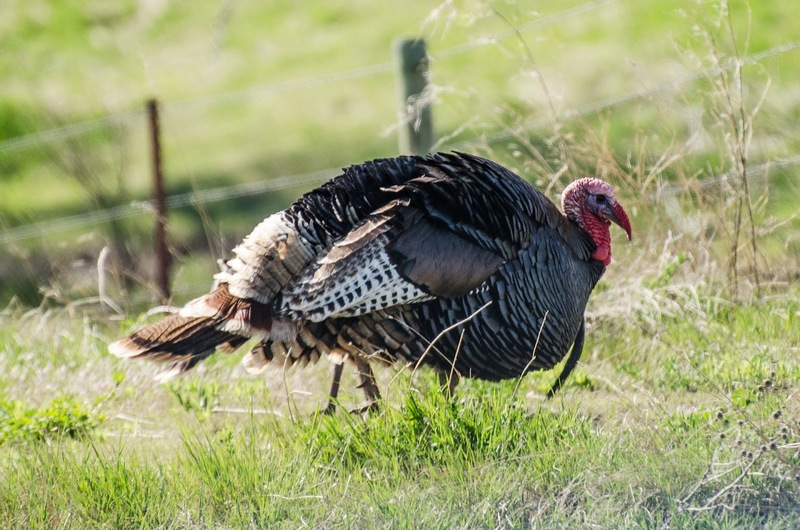 As we head into the Thanksgiving and winter holiday season, you may want to incorporate some Thanksgiving or holiday themes in your lessons. But ELLs who are new to the United States may not be familiar with how these holidays are typically celebrated in America. If you're a content teacher of, say, math, can you really take time out of a lesson to explain to a few students what Thanksgiving is all about? Probably not. Wouldn't it be great, though, if you had a math resource that also included a cultural component? That would let you simultaneously teach the math concept and inform your students about the holiday. Well, I have just the thing for you for Thanksgiving! 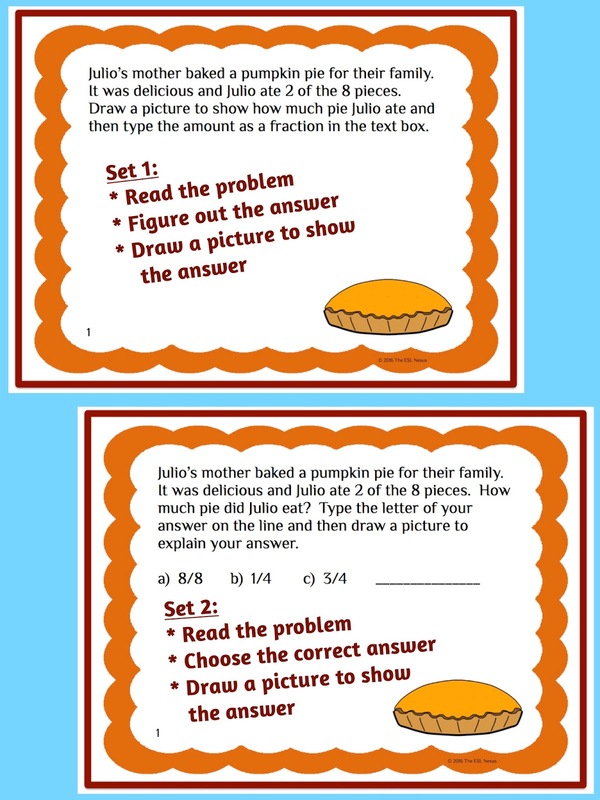 I've created two sets of task cards for teaching fractions that have a Thanksgiving theme. To be specific, all the task cards are about foods that are typically eaten at a traditional Thanksgiving dinner. There are sets of printable task cards and also a version that can be used in Google Drive if you have a paperless classroom. Click here for more information about this product. To help ELLs, and other students, who are not so strong in math, one set in this resource offers three multiple-choice answers for students to choose from. The other set just asks students to figure out the answer. Both sets, though, ask students to draw their answer as a way of demonstrating their understanding. Giving choices like this -- by providing possible answers or offering a word bank -- helps students who are not proficient in reading because they know one of the answers given must be correct. That lets them focus more on trying to figure out how to get one of those answers and not spend so much time trying to just figure out what the question is asking. 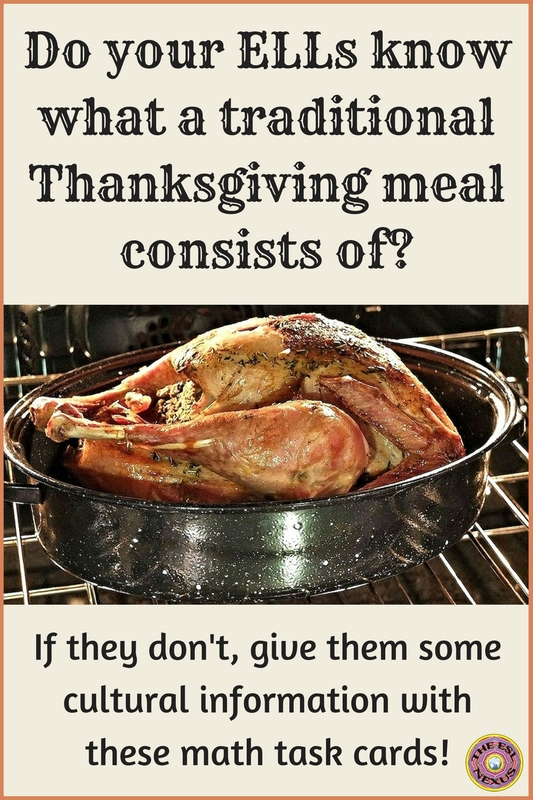 The cultural aspect comes into play because each word problem offers information about a Thanksgiving meal so when ELLs read the task cards, they will learn what a traditional meal consists of. In addition, once the class has finished the problems, you can do a math activity that asks students who eats which foods for their holiday meal and then write the class responses as fractions. You can also graph the results, or calculate the percentages for the results, depending on what skills you are focusing on in your class. If you have any questions about this resource, please ask them in the Comments section below or in the Q&A section of my TpT store.